A comprehensive guide to visiting the American West most popular destinations such as the Grand Canyon, Lake Powell, Lake Mead, Lake Tahoe, Lake Mohave, Lake Shasta, Sedona, Bryce & Zion. 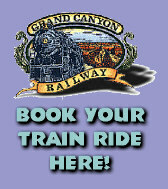 We provide personalized service and will help you plan a terrific vacation, even if you don't know where to start. A real, live human being will answer your questions via email! We don't use autoresponders. We offer a number of different houseboat and powerboat rentals, whitewater and smooth water rafting, tours, dinner cruises, train rides, hiking, horseback riding. . . the options are too numerous to list. Choose a destination from the list above and let's get started planning an exciting vacation. We sell southwest maps, books & magazines, too! 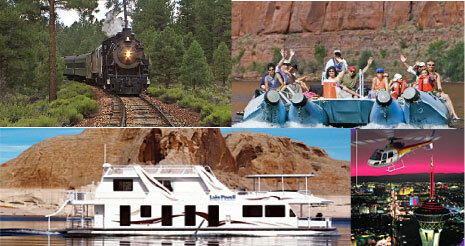 We have info on the most popular tours at Lake Powell, Grand Canyon and Sedona! Can't afford a vacation? We have a few money-saving suggestions.